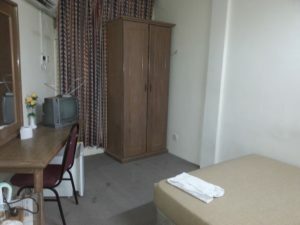 I recently went to Kota Bharu to apply for a new visa at the Thai Consulate and stayed two nights at the Suria Hotel in the centre of Kota Bharu. 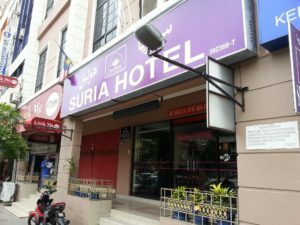 I have stayed in several hotel in Kota Bharu over the years and I thought the Suria Hotel was one of the better budget options. I arrived late at night having travelling from Surat Thani on the same day and picked the Suria Hotel because it is on the main street near the bus station and because the front entrance looks good. The main selling point of this hotel, however, is its location. The Suria Hotel is a 1.4 km walk from the Thai Consulate and a 170 metres from the only place in the town centre where you can buy alcohol: the fantastic Golden City Restaurant. The Suria Hotel is also very near to Jalan Pendek bus station, which is the local bus station for departures to the Thai border at Rantau Panjang and Kuala Besut for boats to the Perhentian Islands. 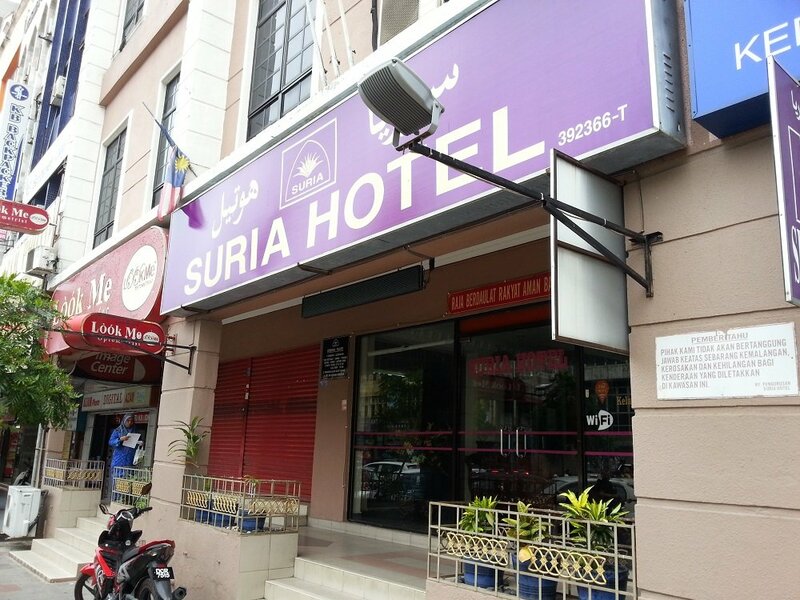 The Suria Hotel is also close to the town’s market. If you walk in and book the cost of a double room with a bathroom and free WiFi is 85 MYR. I booked in advance online and paid 70 MYR. 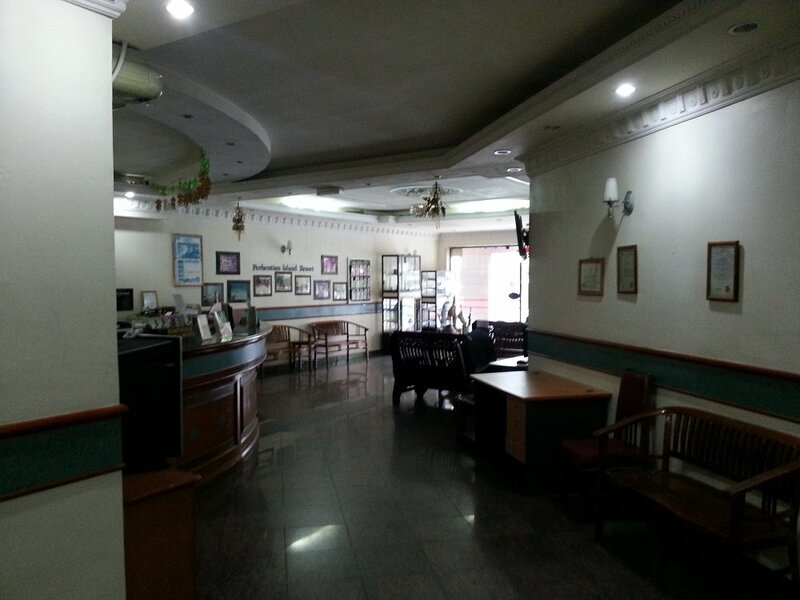 The lobby area looks nice and the lady on the reception desk was pleasant enough. The check-in process was quick and there was no confusion about my online booking. 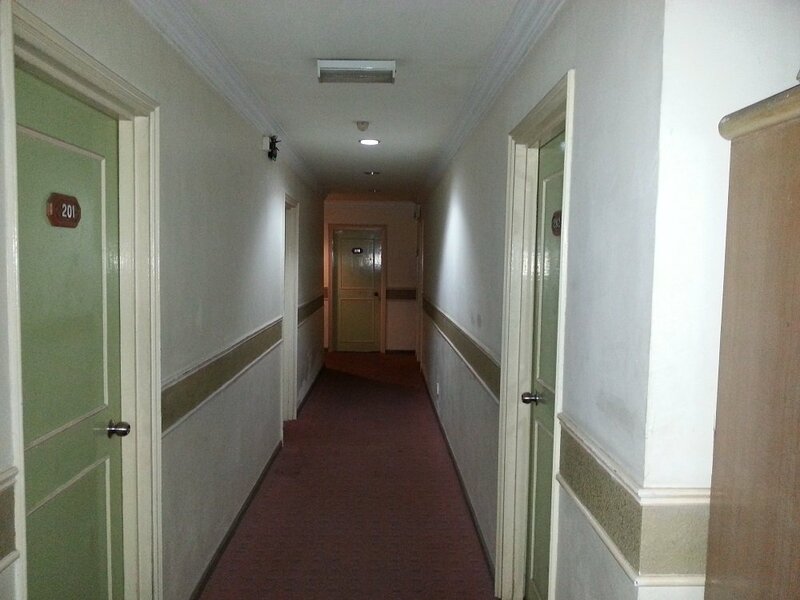 This hotel has a lift – many of the other budget hotels in Kota Bharu do not – and the corridors are not badly decorated and fairly clean (by local standards). Beyond this there are no other facilities at the Suria Hotel which doesn’t really matter because this is a city centre hotel with plenty of shops and restaurants close by. 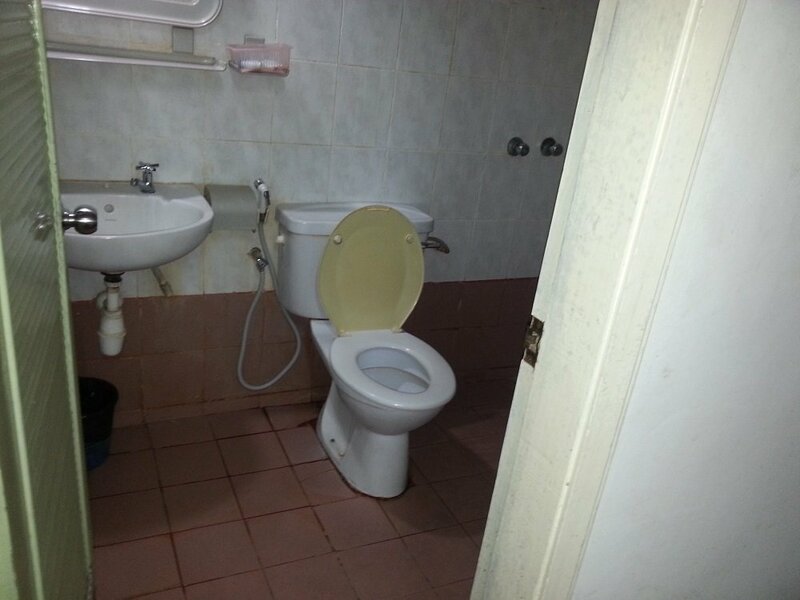 The room are best described as basic, but adequate. The downsides of the room were the shortage of plug sockets and the lack of any English language channels on the TV. Other than that the room was fine if a little overdue for renovation and change of bed linen. The bed was comfortable enough. It was not noisy and I slept well when I stayed. The temperature was alright and the bathroom was acceptable with a good supply of hot water in the evening time. The rooms also have a fridge and a kettle. I give this hotel 3 out of 5. The three things I like about this hotel were: 1. The WiFi was really good, and better than the other more expensive places I have stayed at in Kota Bharu. 2. It was cheap. 3. It is on the main street in Kota Bharu. If you are prepared to pay more, and you are not that bothered about being a walk away from the main street, then stay at the Tune Hotel which has much nicer rooms with satellite TV.